"So what about that firearm Sidney keeps under her pillow?" "Troubles arise, but Sidney’s frankness, her eye for detail, and her big-hearted determination carry the story": Julian Anderson on Courtney Yasmineh's debut novel, A Girl Called Sidney. The rock musician Courtney Yasmineh frequently mentions in interviews how, when she was seventeen, she left Chicago for Northern Minnesota to escape the chaos of her parents’ divorce. In a remote cabin on Lake Vermilion built by her grandfather, she lived alone, attended the local high school, and began performing and writing songs about her experience. Now in her debut novel, A Girl Called Sidney (Gibson House Press, 2017), set in the 1970s, the determined seventeen-year-old Sidney Duncan moves into a cabin in Minnesota to avoid the chaos of her parents’ disintegrating marriage, overcomes obstacles, and starts to devote herself more fully to her music. If you are bracing for a harrowing tale of the northern winter, though, along the lines of Jack London’s “To Build a Fire,” rest easy; Sidney has a working stove, a woodpile, friends, and even when the plumbing freezes, she copes. Troubles arise, but Sidney’s frankness, her eye for detail, and her big-hearted determination carry the story. As with any story about likable characters in adversity, A Girl Called Sidney moves forward on the tightrope of obstacles. 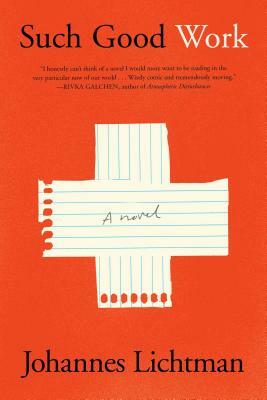 The author’s familiarity with her material gives a deeply credible realism to the narrative, which feels as intimate and exact in the quotidian as memoir or diary. Snippets of conversation might have been lifted verbatim from the 1970s. Bob Dylan’s music is playing. We learn about Sidney’s taste in clothes and are treated to an insider’s familiarity with the isolated cabin and all its jerry-rigged idiosyncrasies. There are beguiling descriptions of the natural world surrounding the cabin as well, as Sidney ice skates on the lake. The characters are similarly fully realized—from the emotionally weak, beautiful and spoiled mother with her obsessively clean, celadon-tinted interior decorating of the Chicago house, to the self-involved father, given in turns to malice and pathos, who is willing to mortgage his children’s futures for his own professional success, to Sidney’s sensitive, intellectual brother caught up in the father’s pride and cruelty, to a malevolent cousin, to the pure-hearted boyfriend. All, like Sidney herself, are vividly drawn and wholly credible. An occasional anachronism creeps in when characters exclaim Sweet, or say, It is what it is, or ask, Who knew? In most respects, though, the author has perfect pitch for the times. Dangers, while lurking, are sidestepped. Early on, the father’s anger escalates to near violence but switches at the last minute to pathos. A friend’s mother turns unexpectedly friendly and offers to take Sidney to get her driver’s license. Her father, taken aback, then provides her with a car. Needing to flee with her distraught brother, Sidney is able to drive the long way to the cabin. A repugnant cousin is sidestepped, and the mother’s potentially creepy gentleman friend turns out to be wholly decent, giving her a gun for protection that she never needs to fire. New schoolmates welcome Sidney into their circle. A boyfriend gives her company and warm clothes. She finds a job. Not only does Sidney make it through her last school year with excellent grades, but her principal also arranges a scholarship for her to attend college. At the end, in an emotional salute to her grit, Sidney’s school bus driver names his first child after her. She is resolved to discarding the kind boyfriend, without trauma, when she takes up her new life. Every obstacle is surmounted, often by deus ex machina. Sidney never even seems to lose her fundamental attachment to her selfish, neglectful parents. In short, except for her mother’s shocking decision to euthanize Sidney’s puppies—which does not give rise to conflict—nothing bad really happens. Rooting for Sidney, I am reminded of the children’s series in which intelligent, spunky children are thwarted by absurd obstacles—in this case, a series of lucky breaks. So what about that firearm Sidney keeps under her pillow? Chekhov famously advised that a gun, figuratively or literally, should not be introduced in a story if it does not later go off. Here, nothing escalates to the point that Sidney must fire her weapon. Preferring happiness to hardship, I am relieved, but slightly disoriented, too. Why a gun in the first place? Why set up the possibility of threat, of violence, of tragedy, but not bring it to a head? This seems to be a systemic problem in the narrative. Conflicts are resolved with practical solutions rather than deepening insight. Solutions come from luck, kindness, and chronology, rather than dramatic engagement and enlightenment. The story ends when Sidney finishes high school, the calendar providing a stopping point, but is it really the end? What has finished? The determined girl from the Chicago suburb, who survives the northern winter, seems much the same Sidney who, in the spring, is ready to shed her country garb and start college. Admirably, she has not succumbed to fear or hardship or emotional despair. Through her grit, she has prevailed. The story, step by step, is told with satisfying realism, yet I was kept waiting for a fuller pay-off. It seems a layer of ice has formed over the more difficult aspects of her year in the woods, and, rather than risk falling through, Sidney is determined to skate gracefully over them. In a narrative that is episodic rather than plot-driven, factual accuracy may be blocking dramatic possibilities. Or perhaps those experiences, worked with up-close precision, need to be viewed from the vantage point of time, and allowed the introspection of memoir. 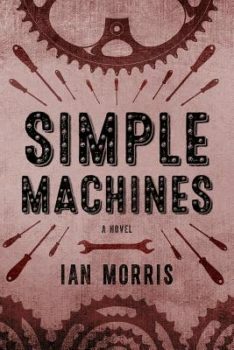 There are dips into self-doubt and moments of fear, but, like the gun that never goes off, the story sidesteps emotional crisis and presents instead a highly readable tale of obstacles resolved.